Most rotary table have a set of T-slots. These are designed for holding the workpiece on the face of the rotary table. There are several ways that these can be used. Firstly the workpiece can be held by using the same sort of clamping arrangements that can be used for holding a workpiece on the milling table. But in this case, the T-slots are at least one size smaller. This means a whole new set of T-nuts, bolts and clamps are needed for this. 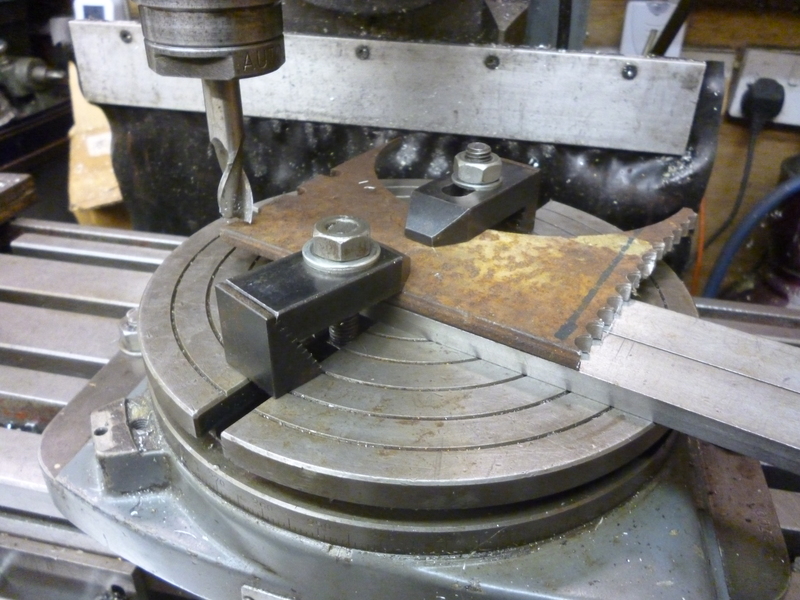 The main problems with this is that these sorts of clamps take up a lot of space outside the edge of the workpiece. Furthermore it is not always easy to fit the clamps where one would like because the T-slots might not be a convenient position. 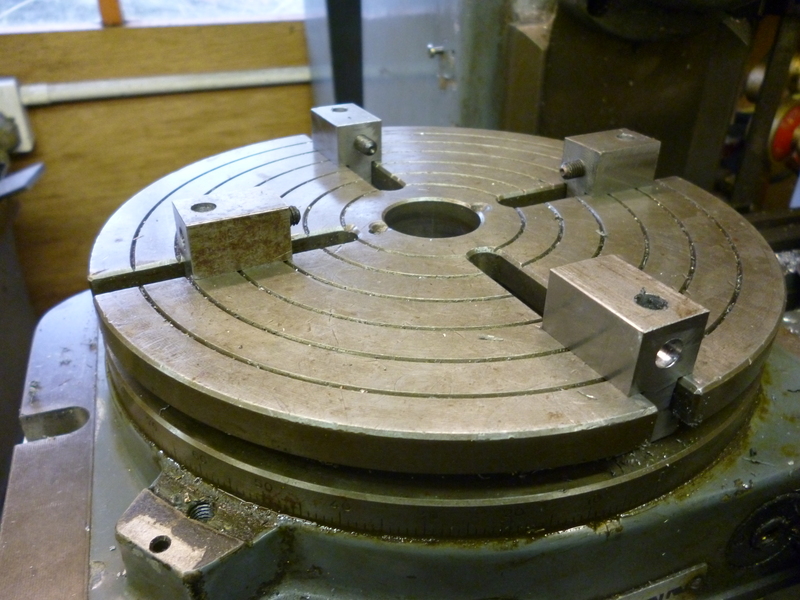 It is quite easy to make jaws that will fit the t-slots on the rotary table. These can be tightened so the will not move. A screw inside the jaw is then used to hold the workpiece. These jaws can be very small and take up little space on the rotary table. If the T-slot are in the form of a cross then the jaws can usually be placed in a useful position. It is easy to make a plate that is roughly the size and shape of the rotary table’s table. This plate has holes in it near its edges. It can then easily be attached to the rotary table. 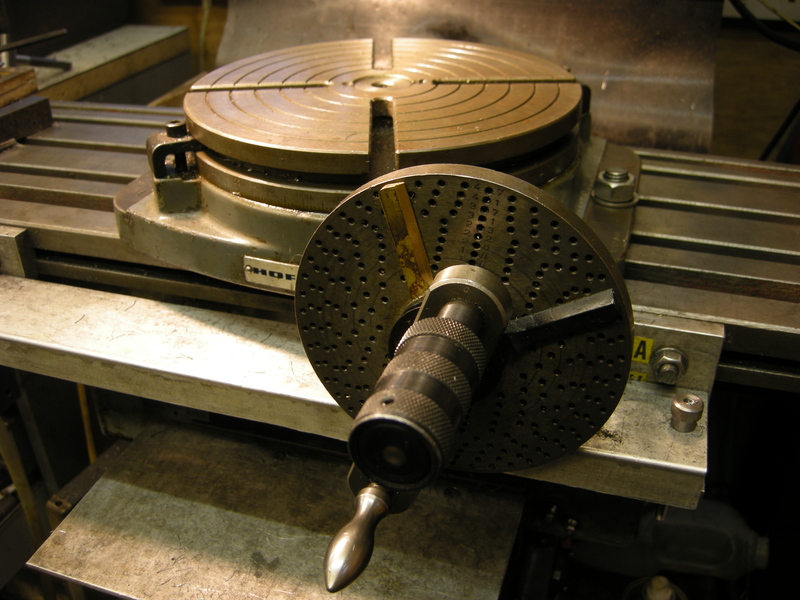 It is then possible to drill and/or tap holes in it so that almost any shape can be attached to the rotary table. A variation on this is where the plate might be much bigger in diameter that the rotary table or it might extend the rotary table a long way but only in one particular direction. 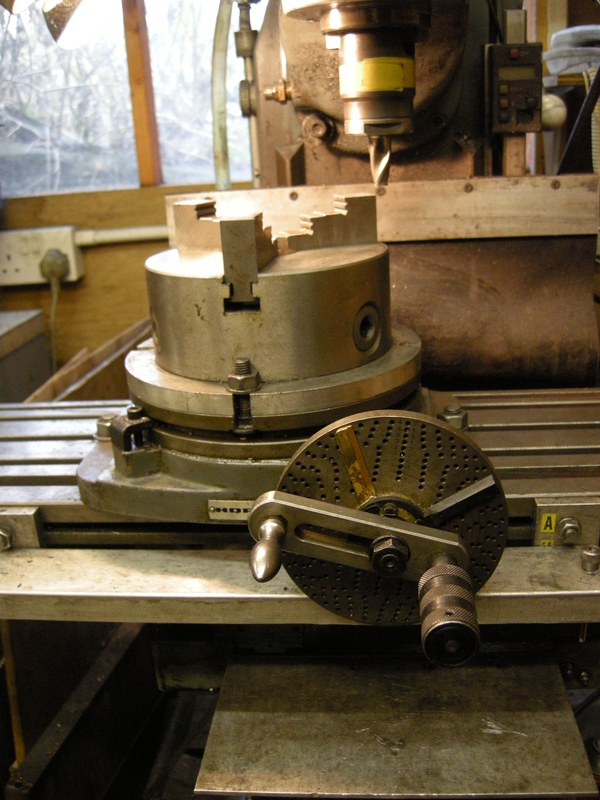 A very useful arrangement is to fit a three jaw chuck onto the rotary table. 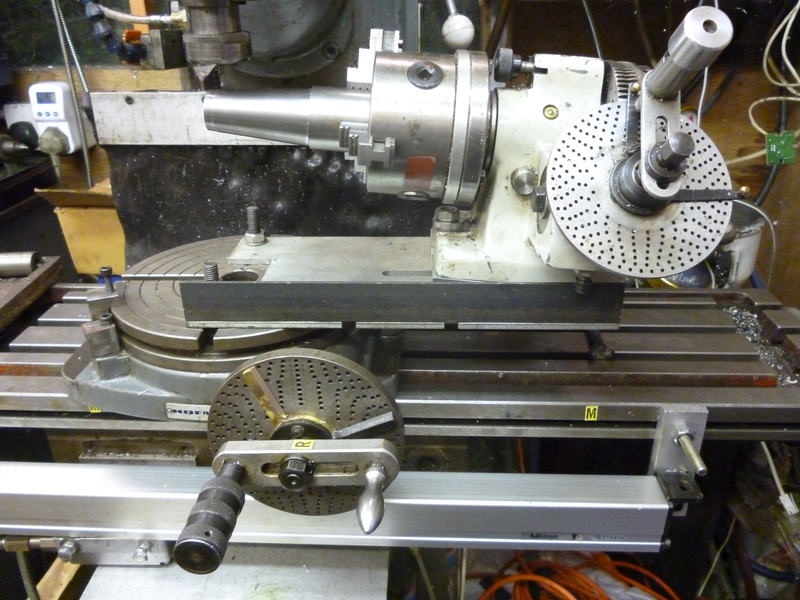 The easy way to do this is to make a round plate that just fits the top of the rotary table. This can be clamped on by means of bolts. This plate fitted with a three jaw chuck. This is a very convenient way of holding a round workpiece. The snag with this is that it takes up height between the milling table and the cutter. There is little point in doing the same thing with a four jaw chuck because it would be very similar to using the rotary table with the jaws.